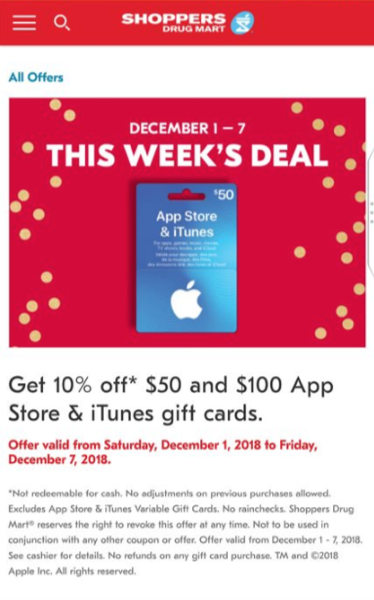 Shoppers Drug Mart has a 10% off sale right now on Apple’s iTunes Gift Cards, in $50 and $100 denominations. 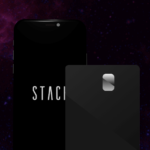 While the savings aren’t as good as Costco’s periodic 20% off, if you are looking for some stocking stuffers, this is the only sale we’ve seen so far. By funding your iTunes Account with discounted cards, you save on any digital purchase from Apple, whether it’s for an app download, in-app purchase, Mac app, movie rental or purchase, subscription such as Netflix, and more. The sales goes from December 1 to December 7, 2018.